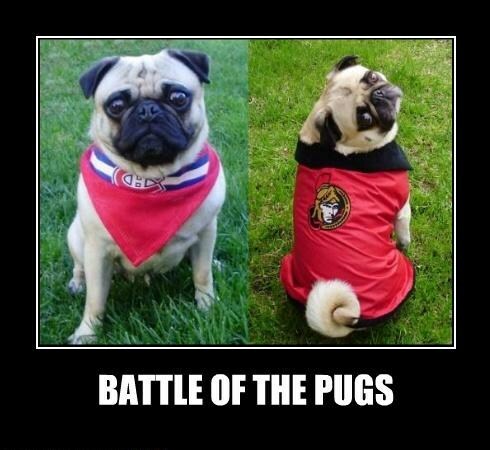 Battle of the Pugs. Montreal Canadiens vs Ottawa Senators. Wallpaper and background images in the Animal Humor club tagged: pug pugs hockey nhl senators sens canadiens habs fan funny. This Animal Humor photo contains pug and pug dog.